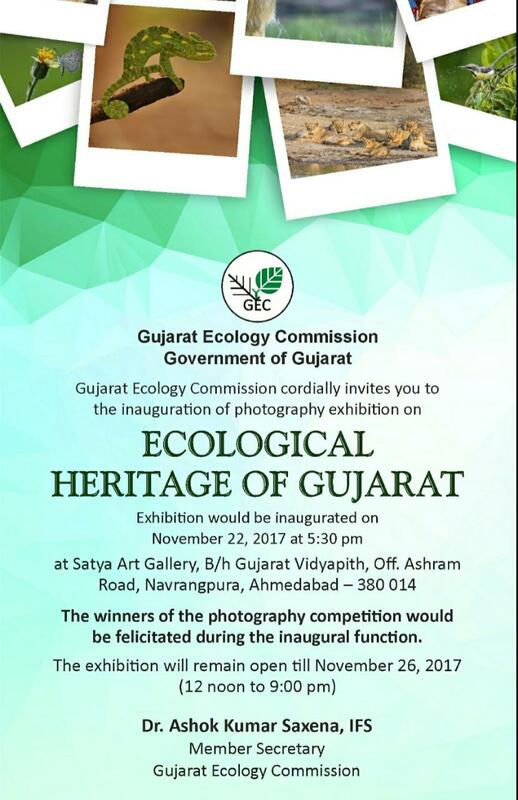 Gujarat Ecology Commission (GEC) is celebrating “Ecological Heritage of Gujarat” through the medium of photography. In line with the same a photography competition was organized by GEC, through which 574 entries were received from 200 participants from across the State. The winners will be felicitated on November 22, 2017 at 5:30 pm. Selected photographs will be exhibited at Satya Art Gallery, B/h Gujarat Vidyapith, Off Ashram Road, Navrangpura, Ahmedabad from 23rd November, 2017 to 26th November, 2017 from 12 noon to 9:00 pm.